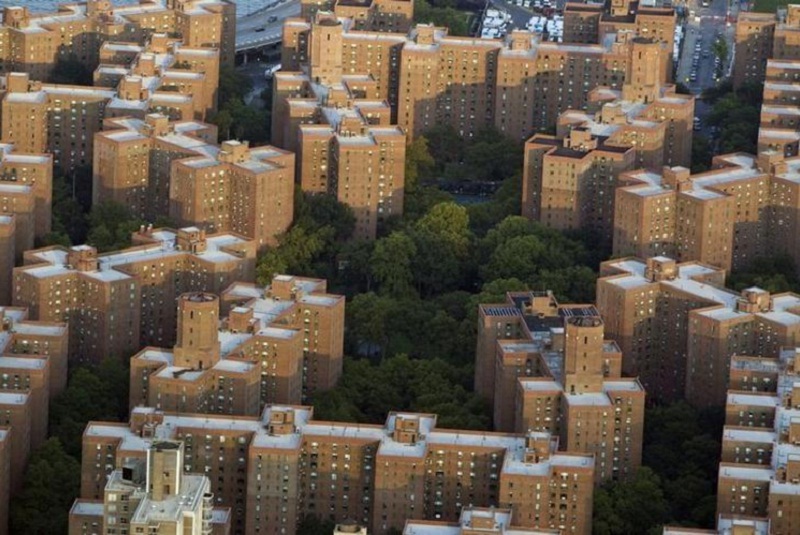 The setting sun hits Peter Cooper Village, a residential development, in Manhattan August 24, 2011. WASHINGTON - U.S. home resales fell to their lowest in a year in August as Hurricane Harvey depressed activity in Houston and a perennial shortage of properties on the market sidelined buyers. adjusted annual rate of 5.35 million units last month. That was the lowest level since August 2016. July’s sales pace was unrevised at 5.44 million units. Economists had forecast sales rising 0.3 percent to a 5.46 million-unit rate. The NAR said Harvey, which struck Texas in the last week of August had resulted in sales in Houston declining 25 percent on a year-on-year basis. Stripping out Houston, existing home sales would have been unchanged in August. Home resales in the South tumbled 5.7 percent last month. Harvey, and a second hurricane, Irma, which slammed Florida early this month could hurt September home resales. Texas and Florida account for more than 18 percent of existing home sales. But even before the hurricanes struck, the housing market had been slowing as supply failed to keep up with strong demand. Sales were up 0.2 percent from August 2016. Home sales have virtually stalled this year amid tight inventories that have resulted in home price increases outpacing wage gains. Builders have blamed shortages of labor and land for their inability to ramp up construction. They have also complained about higher costs of building materials.